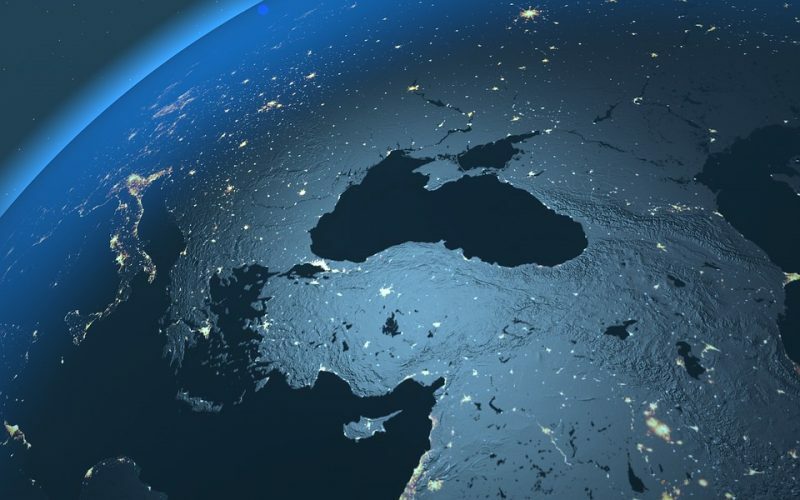 These findings are described in the article entitled Investigating a gas hydrate system in apparent disequilibrium in the Danube Fan, Black Sea, recently published in the journal Earth and Planetary Science Letters (Earth and Planetary Science Letters 502 (2018) 1-11). This work was conducted by Jess I.T. Hillman, Ewa Burwicz, Timo Zander, Joerg Bialas, and Ingo Klaucke from GEOMAR Helmholtz Centre for Ocean Research, and Howard Feldman, Tina Drexler, and David Awwiller from the ExxonMobil Upstream Research Company. The Danube Fan in the western Black Sea has been the focus of several research voyages in the past few years. The aim of these voyages was to acquire geophysical survey data to investigate gas hydrates in the sediments beneath the seafloor (Hillman et al., 2018a; 2018b; Zander et al. 2017; 2018). Gas hydrates are ice-like clathrates, made up of a cage of water molecules that contain hydrocarbons, most commonly methane. They are found in sediments where temperatures are low and pressures are high; therefore, they are abundant on continental shelves beneath the seafloor and in permafrost. Gas hydrates are of interest due to their potential as a future energy resource, as well as their role in controlling slope stability and the possible implications for offshore infrastructure such as pipelines and wells. The Danube Fan in the western Black Sea shows many features indicating the presence of gas and gas hydrates, including a bottom simulating reflection (BSR), high-amplitude anomalies in seismic data beneath the BSR, and the presence of gas flares at the seafloor. 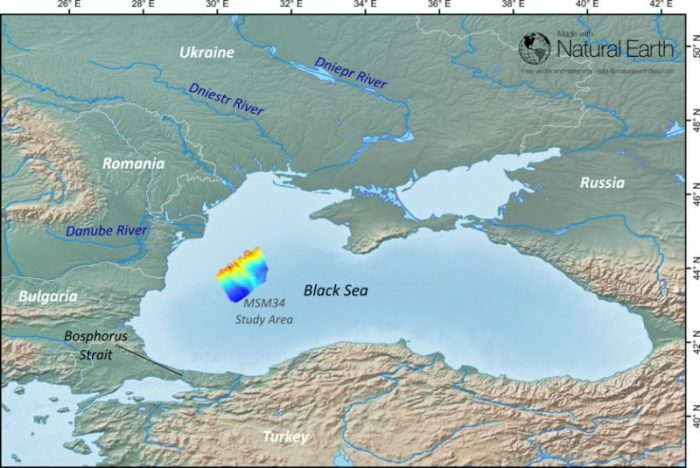 Previous studies have estimated that the Black Sea contains around 96 x 109 kg of methane dissolved in the water column, with an estimated 1–5 x 1012 m3 of gas hydrates contained in sediments (Poort et al., 2005; Starostenko et al., 2010). The western Black Sea shelf and the Danube Fan experienced several strong sea-level fluctuations and a change from lacustrine to marine conditions since the last glacial maximum. However, sea level, salinity, and water temperature conditions have remained constant for the last 7,500 years when the Danube Fan was abandoned as sea level rose and the shoreline retreated, cutting off the sediment supply to the fan. Gas hydrate stability is controlled by the interaction of several factors including pressure (related to sea level), temperature, salinity, gas composition and sediment properties such as grain size and porosity. In 2013-14 the R/V Maria S Merian acquired 2D and 3D seismic data from the Danube Fan, with a focused 3D seismic volume located over the S2 Canyon to the north of the main Viteaz Canyon. The area around the S2 Canyon is complex in terms of geology as the sediments are highly varied due to the interaction of canyon processes (channel erosion and levee deposition), and several slope failure events that have resulted in the formation of large sediment slump deposits. These data, along with heatflow measurements and salinity data acquired by the R/V Pourquoi Pas in 2015, have been used to investigate whether the gas hydrate system beneath the Danube Fan complex is currently stable, or in equilibrium. This area is of interest as the depth of the BSR beneath the seafloor, as observed in the seismic data, suggests that the gas hydrate system is not in steady-state with present-day conditions. The BSR, which is generally interpreted to be the base of the gas hydrate stability zone, is deeper than expected in some sections (beneath the levee and slump sediments) beneath the canyon, based on present-day conditions. Since the Danube Fan was abandoned around 7,500 years ago, and the S2 canyon was likely incised around 20,000 years ago, the gas hydrate system has had at least 7,500 years to equilibrate. This study used steady and transient state models of a 2D profile across the S2 canyon to examine the extent and position of the hydrate stability zone. This was done using inputs from mapping of the 3D seismic data and geochemical analysis of core samples collected during both voyages. Using these models, it is possible to investigate the effects of different factors including variable thermal properties of heterogeneous sediments in the vicinity of the canyon and, topographic focusing on the geothermal gradient on the extent of the hydrate stability zone. Different sediment types have different thermal properties due to the types of minerals that they contain, and the variation in grain size and porosity. Coarse-grained sediments, such as sands deposited in channels, generally conduct heat better than finer grained sediments, such as muds in levee sediments. This means the geothermal properties of the sediments beneath the S2 Canyon vary significantly as there are multiple sediment types present. The topography, or shape of the seafloor, can also have an impact on how heatflow varies beneath the seafloor. Areas of concave topography (i.e., channels) focus heatflow, leading to higher temperatures at shallower depths, whereas convex topography (i.e., levees) defocus heatflow (Poort et al., 2007; Shankar and Riedel, 2010; Tao et al., 2014). Mapping of the BSR beneath the S2 canyon indicates a hydrate stability zone that is apparently not in a steady-state with the present-day conditions. However, the results of the modelling demonstrate that the hydrate system may, in fact, be in, or at least approaching equilibrium, and that the apparent disparity between the expected position of the BSR, and the mapped position, is likely the result of topographic focusing of heatflow beneath the S2 Canyon and variable thermal properties of the sediments. This could explain the anomalously deep BSR observed beneath the levee and slump sediments, where the convex topography results in defocusing of the geothermal gradient. Hillman, J.I.T., Klaucke, I., Bialas, J., Feldman, H., Drexler, T., Awwiller, D., Atgin, O., Çifçi, G., Badhani, S., 2018a. Gas migration pathways and slope failures in the Danube Fan, Black Sea. Mar. Pet. Geol.92, 1069–1084. https://doi .org /10 .1016 /j .marpetgeo .2018 .03 .025. Poort, J., Kutas, R.I., Klerkx, J., Beaubien, S.E., Lombardi, S., Dimitrov, L., Vassilev, A., Naudts, L., 2007. Strong heat flow variability in an active shallow gas en-vironment, Dnepr palaeo-delta, Black Sea. Geo Mar. Lett.27, 185–195. https://doi .org /10 .1007 /s00367 -007 -0072 -4. Poort, J., Vassilev, A., Dimitrov, L., 2005. Did postglacial catastrophic flooding trigger massive changes in the Black Sea gas hydrate reservoir? Terra Nova17, 135–140. https://doi .org /10 .1111 /j .1365 -3121.2005 .00599 .x. Shankar, U., Riedel, M., 2010. Seismic and heat flow constraints from the gas hydrate system in the Krishna-Godavari Basin, India. Mar. Geol.276, 1–13. https://doi .org /10 .1016 /j .margeo .2010 .06 .006. Starostenko, V.I., Rusakov, O.M., Shnyukov, E.F., Kobolev, V.P., Kutas, R.I., 2010. Methane in the northern Black Sea: characterization of its geomorphological and geological environments. Geol. Soc. (Lond.) Spec. Publ.340, 57–75. https://doi .org /10 .1144 /SP340 .5. Tao, H., Hong-Lin, L., Chang-Chun, Z., 2014. 3D topographic correction of the BSR heat flow and detection of focused fluid flow. Appl. Geophys.11, 197–206. https://doi .org /10 .1007 /s11770 -014 -0429 -1. Zander, T., Choi, J.C., Vanneste, M., Berndt, C., Dannowski, A., Carlton, B., Bialas, J., 2018. Potential impacts of gas hydrate exploitation on slope stability in the Danube deep-sea fan, Black Sea. Mar. Pet. Geol.92, 1056–1068. https://doi .org /10 .1016 /j .marpetgeo .2017.08 .010. Zander, T., Haeckel, M., Berndt, C., Chi, W.-C., Klaucke, I., Bialas, J., Klaeschen, D., Koch, S., Atgın, O., 2017. On the origin of multiple BSRs in the Danube deep-sea fan, Black Sea. Earth Planet. Sci. Lett.462, 15–25. https://doi .org /10 .1016 /j .epsl .2017.01.006. 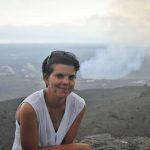 Jess is a Marine Geophysicist at GNS Science.